I went SHOPPING~ Yes I know I said the same thing only a week ago. 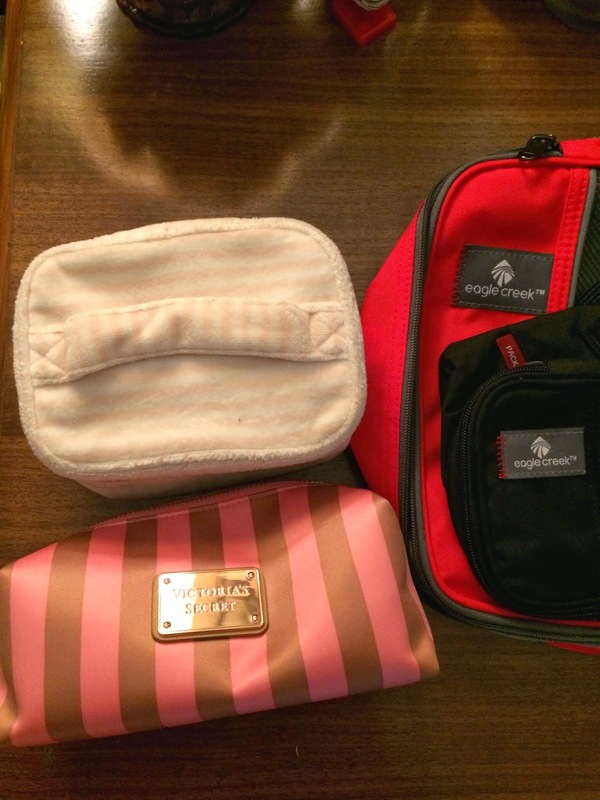 But this time I picked up something that I have been wanting to buy for the longest time which is the packing cubes from Eagle Creek and Muji. I am going to Bali in around 10 days. (I am so excited!!!!!) As I know that I will not have enough time to pack because I will be too busy with my work in the next 5 days and it is spring time in Hong Kong while I need to pack mainly summer clothing for my Bali trip. So I decided to start packing earlier. 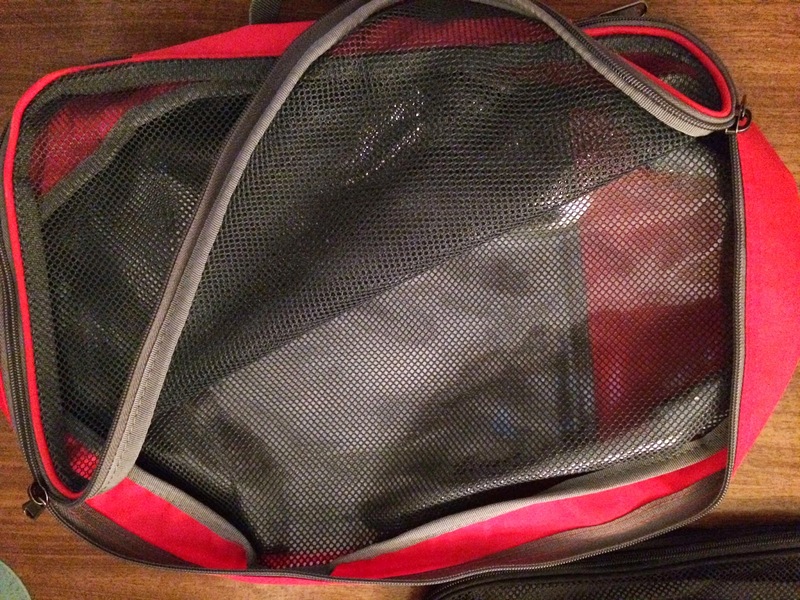 Before this trip, I mainly use pretty plastic bags that I got from shopping to keep my clothes, slippers and bikinis clean and separate different things in the luggage. Shops like Peach John and Uniqlo give out really pretty plastic bags which I usually save for packing or to simply keep my scarf clean in my hand bag when I go to work. However, I started to forget what I put in each plastic bag... slippers?...clean clothes?...dirty clothes?...shose??? Also, the bags torn out easily. 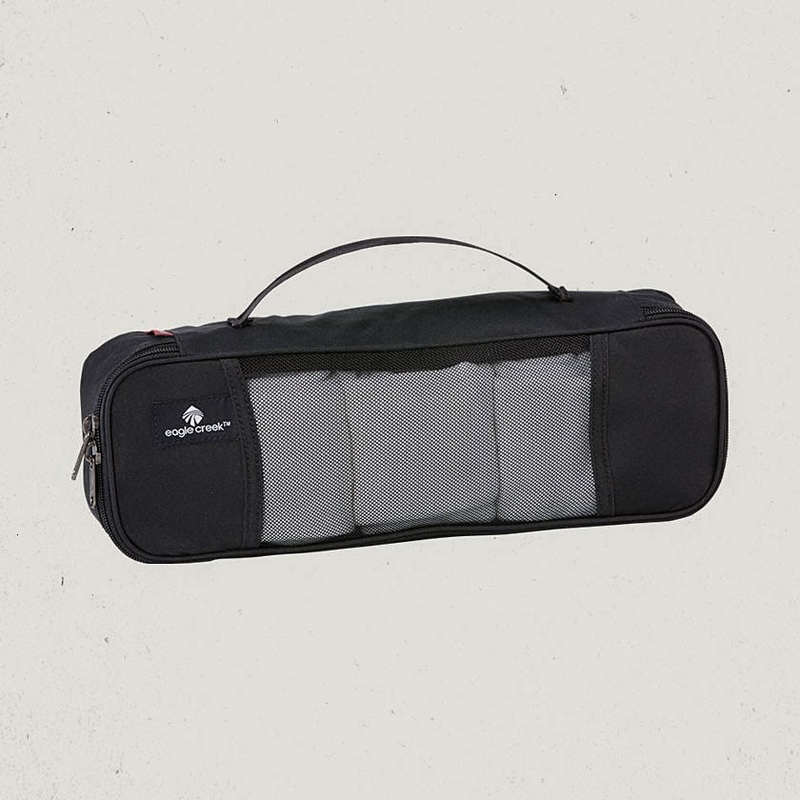 So I decided that it is worth the money to invest in some good traveling packing cubes because my bf and I go traveling at least once a year. 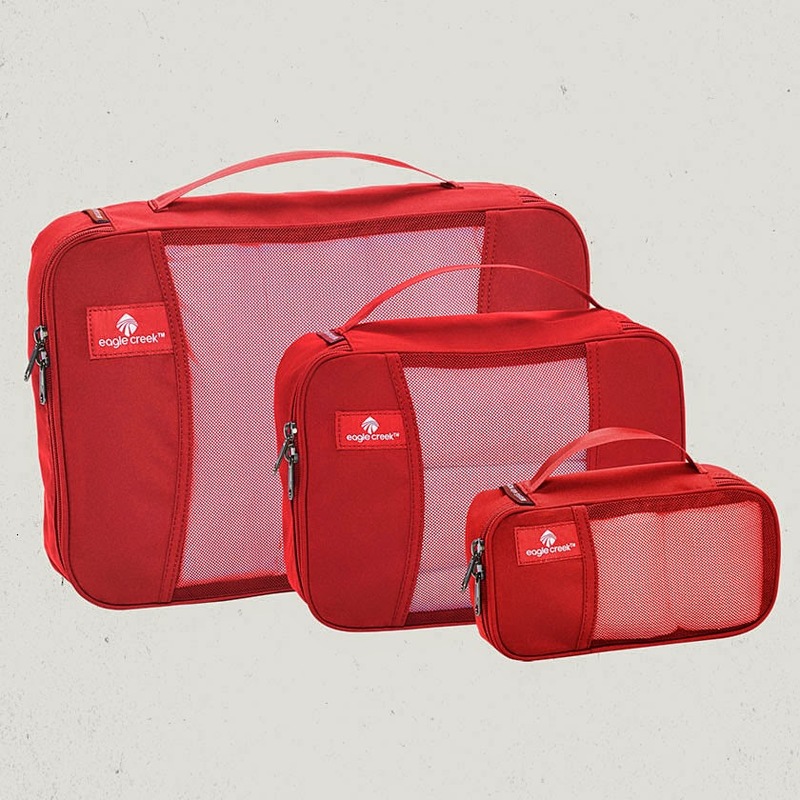 I believe that I am going to use packing cubes a lot. 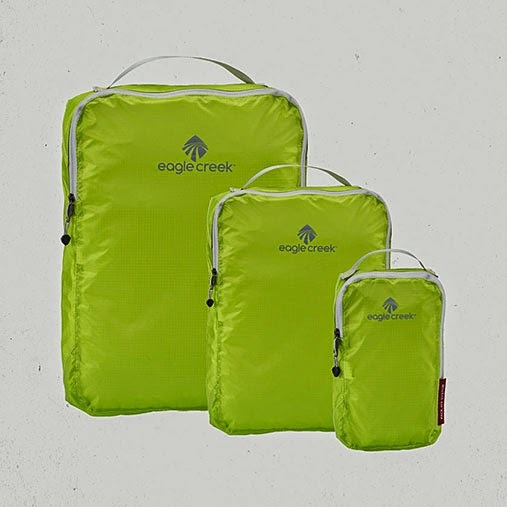 Overall, I personally think that the Eagle Creek packing cubes are going to last longer because they have thicker materials. 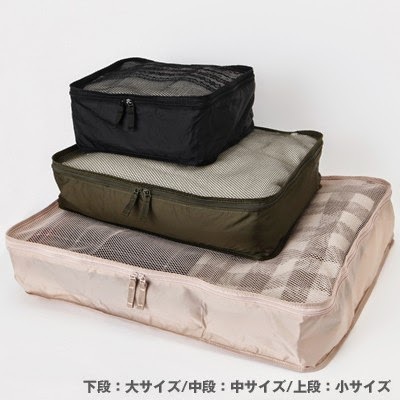 Although I really like the design of the Muji packing cubes and their materials are very light, they look very breakable to me. 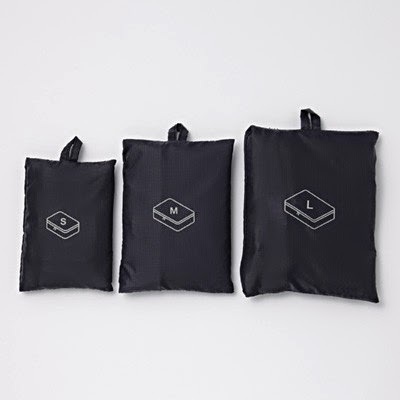 If I hope to invest in long lasting cubes, I guess Eagle Creek packing cubes should be my choice. They also provide this instrumental video on their site which tells people what each cube is designed for. 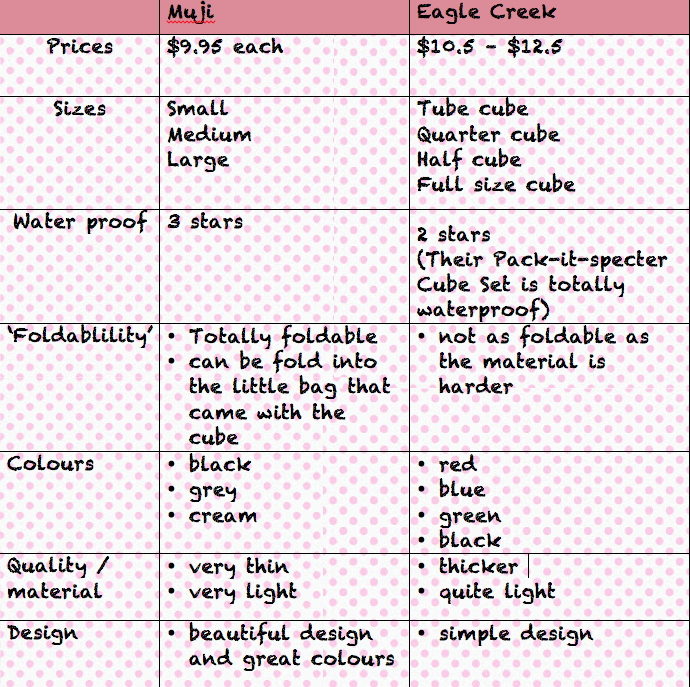 I ended up buying a set of Eagle Cubes in red because I want more colours in my luggage. I chose the two sided ones so that dirty clothes can be separated from clean ones. I also picked up a Tube cube which is convenient for hair drier, mobile chargers and camera chargers. I chose a black one so that it won't become dirty easily. However, I still picked up one toiletry packing cube from Muji because it is so pinky soft and fluffy! It is too cute to ignore. I can put all of my little bottles inside this cute cube. Then when I walked pass Victoria's Secrets in Times square, I got this little make up bag which I have been waiting to buy for the longest time, too. I am going to enjoy packing so much this time!!! !